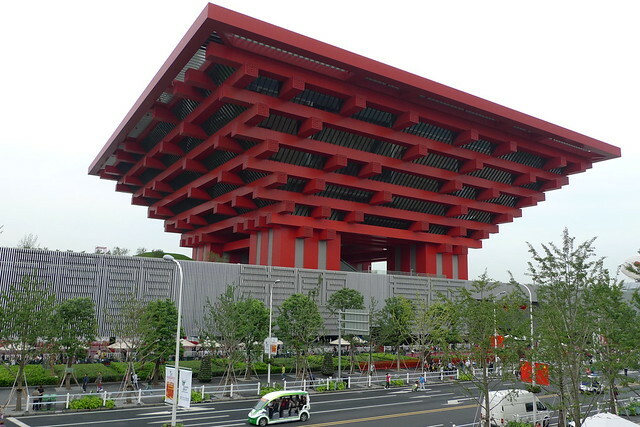 Expo 2010 in Shanghai ended recently after breaking the previous Expo attendance record with 73 million visitors. The superlatives in the Chinese press are as unrestrained as usual, the terse news items in the western press are as ungracious as usual, and the “old China hand” reaction against the western press is as excessive as usual. But still, a lot of attention is being paid to those visitor numbers, even though China is the most populous country in the world. Wasn’t that only to be expected, not analyzed like it really means something? Before the Shanghai Expo even opened, it was announced that the “expected attendance” would be about 70 million visitors, which would conveniently break the Expo attendance record. But of course this was actually a goal, not an estimate. The logic was fairly simple: what will it take to get 70 million Chinese to visit the Shanghai Expo? Massive advertising, free tickets, package tour discounts. Given how much press and TV coverage the Expo got inside China and the plentiful supply of free tickets people in the Shanghai area seem to have had, I’m surprised that only 70 million people showed up! There’s only so many times you can hear “it’s simply the biggest event in history” before you at least get a little curious about what the fuss is all about. The Shanghai Expo was only really incredible (attendance-wise) when compared to recent Expos, but let’s look a little more closely at the 1970 Osaka Expo whose attendance record was broken. The record attendance from the 1970 Osaka Expo was 64.2 million people. In 1970 Japan’s population was 104.34 million – that means visitor numbers amounted to 61.5% of the entire population of Japan! With the current population of China being around 1.3 billion, the Shanghai Expo visitor numbers amounted to just 5.5% of China’s population (which of course doesn’t even take into account all the people claiming to have gone 10, 20, even 30 times). That’s hardly the groundswell of “once in a lifetime” experience for society’s underprivileged that some are making it out to be, after all how many of the visitors actually couldn’t go abroad themselves if they really wanted to? How about another comparison with an Expo that was deemed to be culturally and nationally defining, Expo ’67 in Montreal. Expo ’67 (conveniently timed to coincide with Canada’s centennial as a country) is considered one of the most successful World’s Fairs of the 20th century and attracted 50.3 million visitors. The population of Canada in 1967 was 20.5 million, meaning visitor numbers amounted to 2.5 times the population of the country (a per-capita record that still stands). How’s that for cultural impact? Despite the fairytale story that’s getting repeated quite a bit, the Shanghai Expo can hardly pretend to have really been a way for the average “disadvantaged” Chinese citizen to understand the rest of the world – if anything, it presented the world to China on Chinese terms, bending over backwards to give the visitors more or less what they were expecting to see and experience: a lot of cliches, some excitement and entertainment and a chance to be part of something big. While the Shanghai Expo has helped a certain number of a certain class of people (people who may not be able to afford to go abroad) get to experience (I really hesitate to use the word learn) something about the rest of the world (by watching videos in weird giant rooms with lots of other people after waiting in line for hours), as a limited 6 month event, this is just a tiny blip compared to the ever increasing numbers of Chinese tourists heading overseas. The number of Chinese outbound international tourists in 2010 is estimated to be 54 million people, and by 2020 it will be 100 million tourists travelling overseas, every year. Those kind of numbers make any “foreign” experience the Expo could have given a stunning inconsequentiality. People insisting what an amazing epoch-making event the Shanghai Expo was are stuck in the past, still pretending to themselves that China is made up of backward, uninformed farmers who need the Expo to teach them about the world. Think again. After all, over 75% of Americans don’t even have passports, so presumably they don’t think it’s all that worthwhile learning about the rest of the world through travel, so why do the Chinese need this? Pretending that the Expo was all somehow for the benefit of those who will never have a chance to go overseas is preposterous and that $55 billion (or is that $95 billion?) could have gone quite some way towards improving the substandard rural health coverage and standard of living of some of those same citizens. But of course that wasn’t what the Expo was all about.